Every year the humpback whale leaves the cooler waters of the Antarctic, from which they travel up through the warmer waters of tropical Queensland and up as far as the great Barrier reef. The Gold Coast whale watching season runs between June and November each year. During this period, it is estimated some 20,000 humpback whales migrate north up past the Gold Coast. 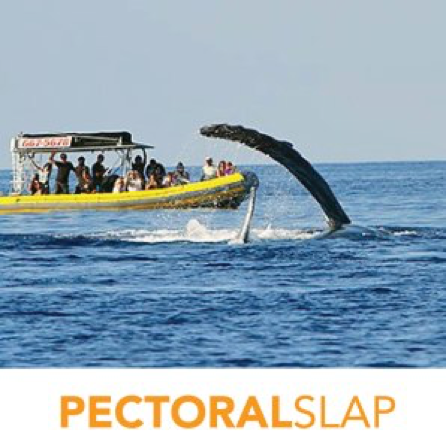 Over the past few years the Gold Coast has earned a growing reputation as a whale watching capital as thousands of international tourists now head to the Gold Coast just to be able to get up close and personal with these giant mammals of the ocean. Experts believe humpback whale numbers have been increasing by some 10% each year due to the ceasing of whaling and greater awareness and education surrounding the species in general. With this in mind, we are expecting the 2017 season to be our most active and best season ever. The heart of a blue whale is about the size of a VW Beetle car and weighs up to 450kg. The aorta, a major blood vessel for the heart, is big enough for a human child to crawl through. Whales are marine mammals, and like all mammals, whales breathe air into lungs, are warm-blooded, feed their young milk and have some (although very little) hair. Their bodies resemble the streamlined form of a fish, while the forelimbs or flippers are paddle-shaped. The tail fins, or flukes, enable whales to propel themselves through the water. Most species of whale have a fin on their backs known as a dorsal fin. 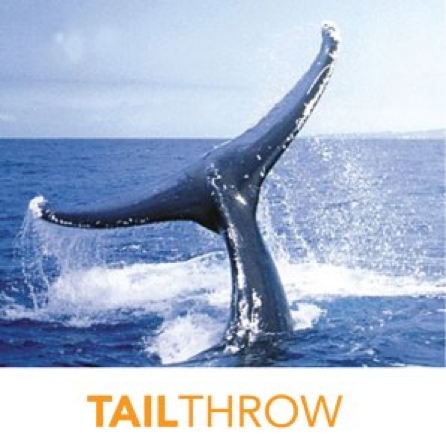 When a humpback whale lifts its giant fluke or tail out of the water and throws it back into the ocean it’s called a Tail Throw. This is performed many times by female humpback whales that may be attempting to attract the attention of male hump- backs interested in mating. 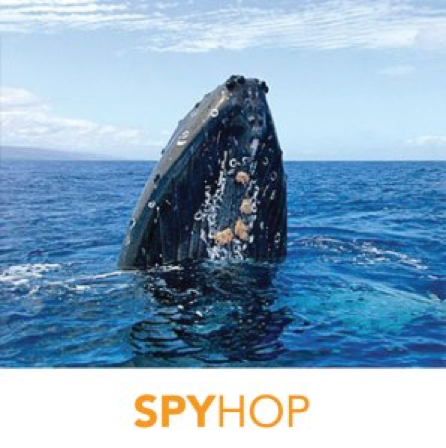 The humpback whale floating vertically in the water and lifting its whole rostrum or head out of the water is a Spy Hop. This allows the whale to see out of the water and view their surroundings. Watching a 45 ton 45-foot humpback whale poke its head out of the water is epic. 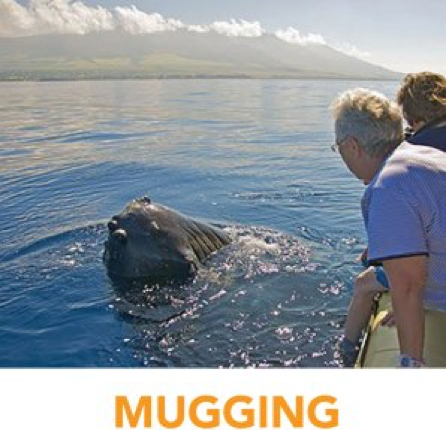 Mugging is when a humpback whale approaches our boat closer than 100 yards on its own. Our boat is non-threatening, which encourages these curious, gentle giants to swim right up to our boat and check you out! 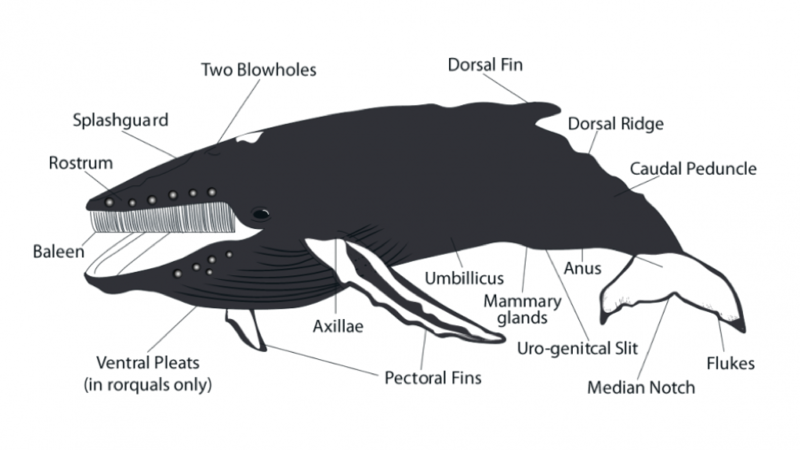 The female humpback whale will raise her giant pectoral fin or arm fin out of the water and repeatedly slap it back down on the surface of the water. 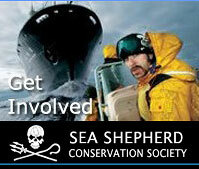 This is also believed to draw in the adult male humpback whales in the area who may be interested in mating.